Your child screams at you telling you, “You’re the worst mum in the world!” This might be followed by feet-stomping, huffs and puffs, clenched fists, grunting and a host of other (undesirable) behaviours. And all of this because you simply asked for your iPhone back! As modern parents, chances are we’ve experienced our children throwing a techno-tantrum. So does this simply mean that we have to accept techno-tantrums, as a modern parents’ reality? As I’ve previously explained, techno-tantrums are completely normal and often a result of the neurobiological changes that occur when kids use technology. But this doesn’t mean that we have to simply accept that they’re part of our modern parenting reality. Just because your child doesn’t like handing over your smartphone, or shutting the laptop lid doesn’t mean they’re addicted. It simply means that they’re having a (strong) neurobiological response and if their tantrums have been occurring for a while, you may need to establish some new healthy, technology habits. Over time, if you’re consistent with your media rules, your child’s techno-tantrums are likely to subside or completely disappear. Remember, techno-tantrums are often a normal part of development. They’re an emotional storm that children aren’t yet equipped to handle. That’s why our job as parents and educators is so critical – we have to show them how to deal with these big emotions without always combusting into fits of tears. Remember, young children don’t yet have the hindsight or catastrophe scale to deal with this situation because of limited life experiences. So when you ask for your smartphone back (and their brain is giving them lots of dopamine, they might be in the state of flow and there’s novelty- something new and exciting to look at), this feels like a level 10 on the catastrophe scale. Don’t take the situation personally. Like all ages and stages, this too shall pass. 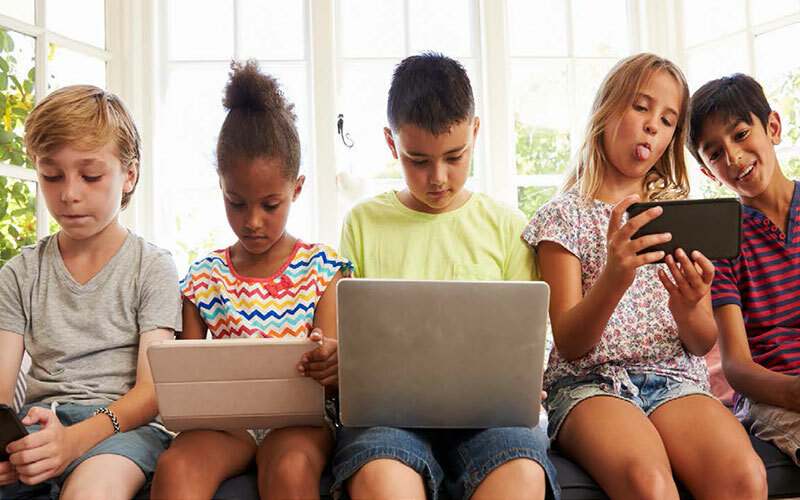 If you would like to learn more about helping your child in a digital world, check out our Events web page for upcoming Dr Kristy Goodwin events.